Edward "Ed" L. Weiner is the founding partner of Weiner, Spivey & Miller, PLC, and a Past President of the Virginia State Bar. He has over 35 years of proven successful performance representing plaintiffs who have been seriously injured, and focuses his practice on personal injury and medical malpractice. Ed's achievements include winning numerous multi-million dollar verdicts and cases before the Virginia Supreme Court, precedent-setting appellate cases. Ed has earned a reputation as both a highly-effective trial attorney and a skilled negotiator. He is a multiple year recipient of the Fairfax Bar Association's President’s Award for Outstanding Service. Ed has been consistently named one of Washington's "Best Lawyers" for Personal Injury by Washingtonian and Northern Virginia Magazines, holds Martindale-Hubbell's top A-V Rating, and has been listed in SuperLawyers Magazine since 2006. Ed was born in Suffern, New York, and is a graduate of the State University of New York at Binghamton. He received his J.D. from the University of Richmond and his LL.M in International Law from Georgetown University. Ed has been an active member of the Fairfax Bar Association since 1980 and is a past President. He served on the Board of Directors of the Fairfax Law Foundation from 2002 until 2016 and is a past President. 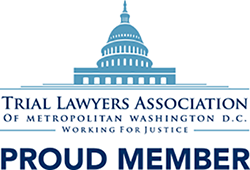 Since 2001, WSM has hosted the Annual Law Day 'Weiner Roast', which benefits the Fairfax Law Foundation's Pro Bono programs. In addition to serving as the 77th President of the Virginia State Bar, Ed has served on the VSB’s Council of Local Bar Leaders as a member and as its Chair. Ed was also appointed by the Virginia Supreme Court of Virginia to serve on the Professionalism Faculty. Ed is a member of the Board of Directors of the George Mason University (GMU) Center for the Performing Arts. His brainchild, Jazz4Justice, started in 2001 as an annual concert performed by students in the GMU Jazz Program and organized in conjunction with the Fairfax Law Foundation. Today, the Jazz4Justice Foundation, partners with local Bar Associations and college Jazz Programs across Virginia to raise funds for pro bono legal services, Legal Aid and student scholarships. Ed and his wife, Maura Burke Weiner, have two daughters, Maurissa and Brianna. Reported Cases: Wakole v. Barber, 283 Va. 488, 722 S.E.2d 238 (2012); Russ v. Destival, 267 Va. 458 (2004); United States vs. Gooding - 695 F.2d 78 (1982); Roshan vs. Fard - 705-F.2d 102 (1983). 77th President, Virginia State Bar; Past President, Fairfax Bar Association; Past President Fairfax Law Foundation; Fellow, Virginia Law Foundation; Virginia Leader of Law Award; James Keith Award for Public Service.